St. John is renowned as a place of unspoiled natural beauty. Although once largely developed as sugar plantations, most of the island has been allowed to return to nature and is covered by lush tropical vegetation. Indeed, there are some 800 species of plants on the island. 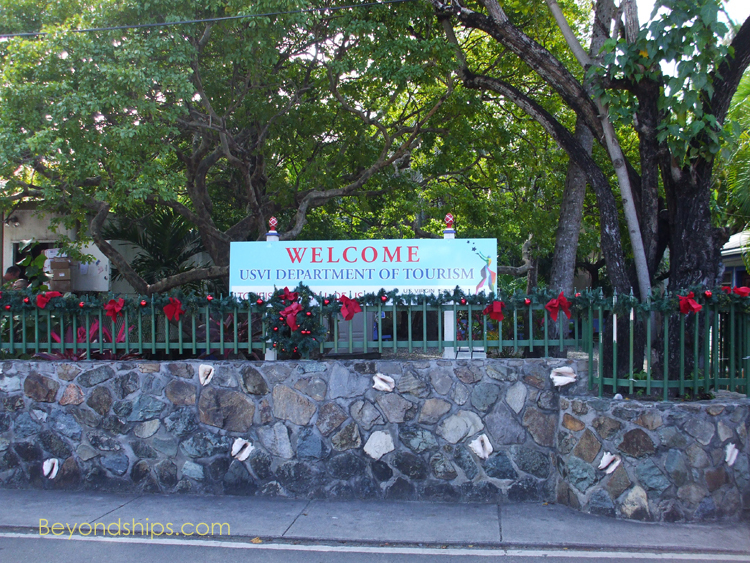 In amongst the often dense foliage, you can find remnants of the various cultures that have occupied the island since prehistoric times including petroglyphs and plantation ruins. However, the crown jewels of St. John are its picturesque white sand beaches. Not only are they beautiful from the shore but the crystal clear waters and the surrounding reefs make them prime locations for underwater exploration. The island is one of the three main constituent parts of the United States Virgin Islands, a unincorporated territory of the United States. 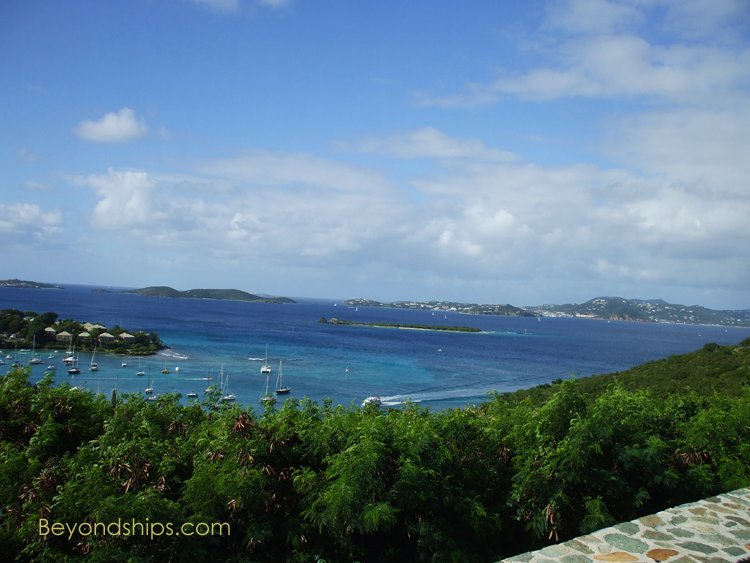 The USVI also includes neighboring St. Thomas and St. Croix, which is considerably further away. Residents are United States citizens but do not vote in national elections. They can vote in elections for the territorial governor and legislature. There are about 4,170 residents. Some 60 percent of the island is within the Virgin Islands National Park. The United States National Park Service administers it with an eye not only toward protecting the natural beauty but also to allowing visitors to have a fun and often educational experience in the park. 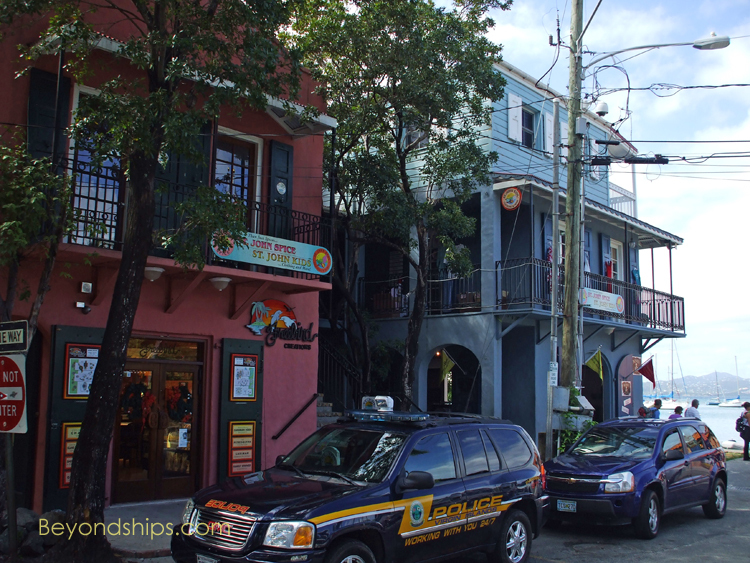 St. John is not a major shopping destination. 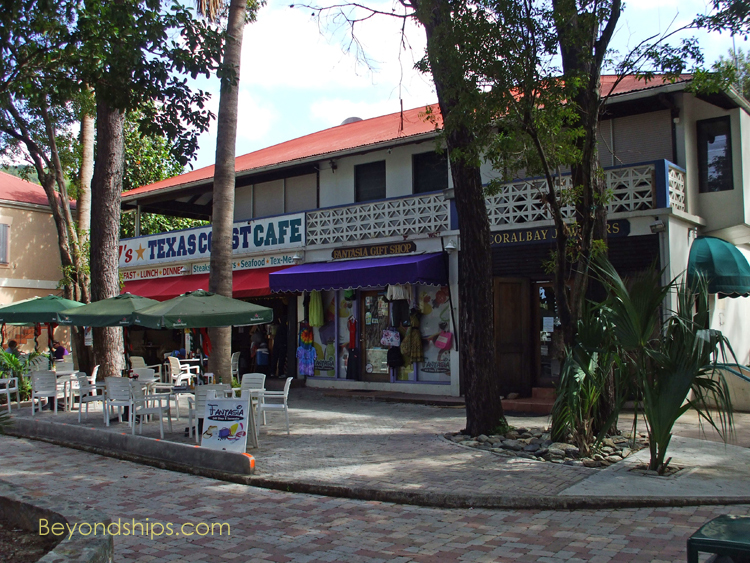 There are local shops, often specializing in arts and crafts, but if you are looking for the large discount chain stores that one sees in the major cruise ports, stay in St. Thomas. The primary tourist season is the Winter and Spring months. Temperatures range from 70 to 80 degrees Fahrenheit during those months. The summer is warmer. While the weather is mostly sunny, brief showers can pop up. Above: St John is only a short distance from St. Thomas. 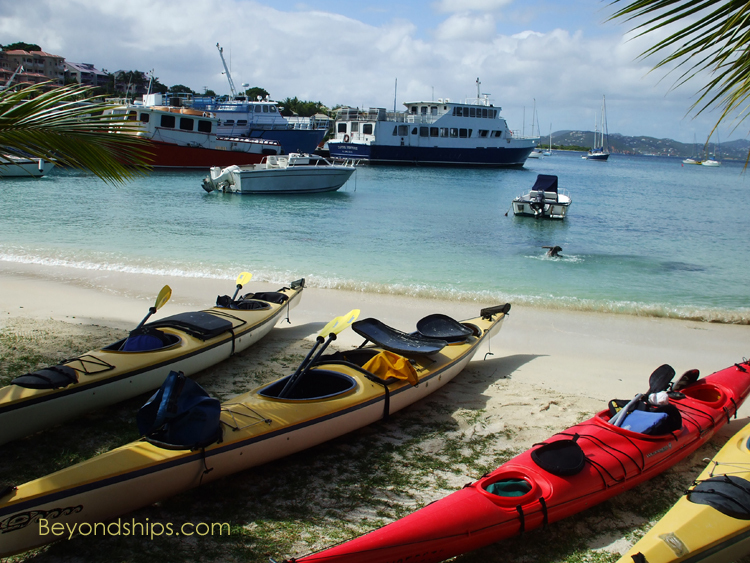 Below: Water sports abound on St. John. 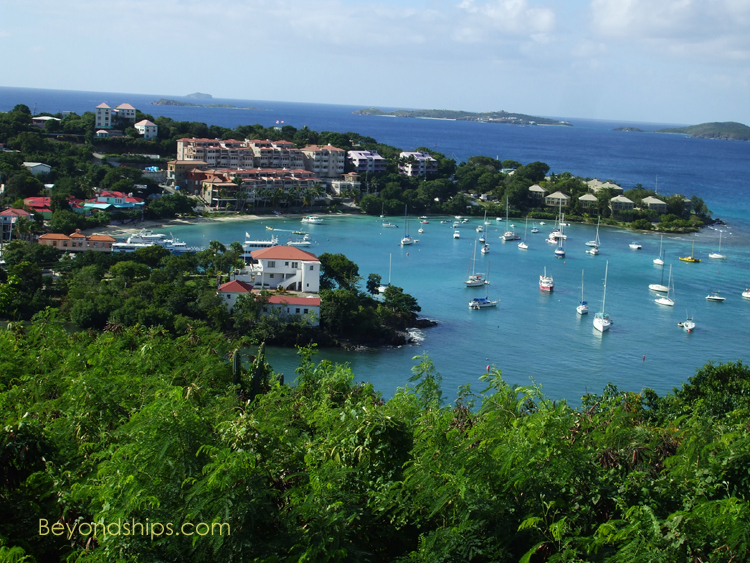 Cruz Bay is the larger of St. John’s two towns (the other being Coral Bay). Located across a short stretch of water from St. Thomas, it is the island’s principal port. However, do not expect large commercial port with ocean going container ships. Rather, the harbor is dominated by sail boats and the island’s ferry terminal. 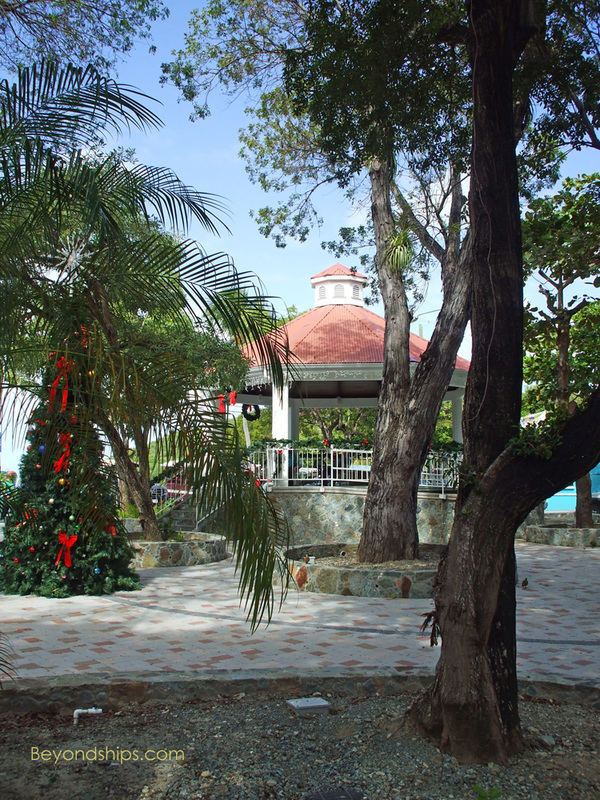 The town itself is like many small American towns complete with a park and bandstand.